The entrepreneur and real estate developer Craig Robins caught the collecting bug at the age of 19 while studying in Spain, where he spent hours in the Prado museum in Madrid. “I discovered Goya, Picasso and Dalí,” the Miami native says. “Goya, in particular, had an impact on me, and my curiosity for art was awakened.” Since then, Robins—whose company, Dacra, was behind the project to transform 18 blocks of abandoned warehouses into what is now known as the Miami Design District—has amassed a sizable collection of Modern and contemporary art and design. 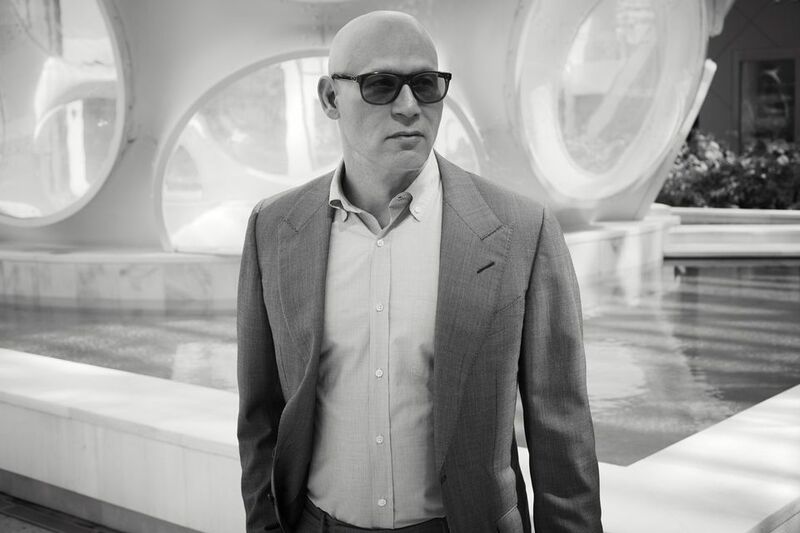 He has donated more than 200 works from his collection to the Pérez Art Museum Miami, of which he is a trustee, and he co-founded the Modern and contemporary design fairs Design Miami/ and Design Miami/Basel, which he owns with Art Basel’s parent company, MCH Group. The Art Newspaper: What was the first work you bought? Craig Robins: A sketch by Salvador Dalí when I was 19 and living in Barcelona, in 1982. Dalí was still alive at the time. I bought the work for $5,000 from a Spanish private dealer. What is your most recent buy? I just bought a 1960s wood work by Richard Tuttle. It took me three years to find the right one. The two most historically important works are a word painting by John Baldessari, Clement Greenberg [1966-68], and [Marcel] Duchamp’s 3 Standard Stoppages [1913-14]. I care more about their contribution to the evolution of art, and thinking in general, than how the art market measures their value. Baldessari’s Clement Greenberg. This was the first work by a major artist that I acquired. It’s an important painting from the 1960s and a commentary on art and how people relate to it. It means a lot to me. If money was no object, what would be your dream art buy? Saturn Devouring His Son or Maja Desnuda [both by Goya]. Rirkrit Tiravanija’s Glass House —a one-fourth scale model of Philip Johnson’s Glass House [built in 1949 in New Canaan, Connecticut, as the US architect’s own home]. It was initially produced by the artist for the New York Museum of Modern Art’s sculpture garden, so it is an interesting example of micro-architecture. It needs to be rebuilt each time I display it. Francisco de Goya and John Baldessari. I think we would have a fascinating conversation as John often references Goya in his work. Hopefully, we would have Goya before his lost his hearing. I've installed works in the fire-exit stairwell at my office building. I see it as a little added incentive to take the stairs! A 1960s painting by Ed Ruscha, offered to me in the early 1990s. In the fire-exit stairwell at my office building. I see it as a little added incentive to take the stairs! What’s the best collecting advice you have received? [The late dealer] Jack Tilton had a big influence. Jack was one of the most insightful and spirited people in the art world and gave me the confidence to build my art collection. He helped me rein in intuitive impulses, and to process and understand a piece before buying it. He was an incredible person.